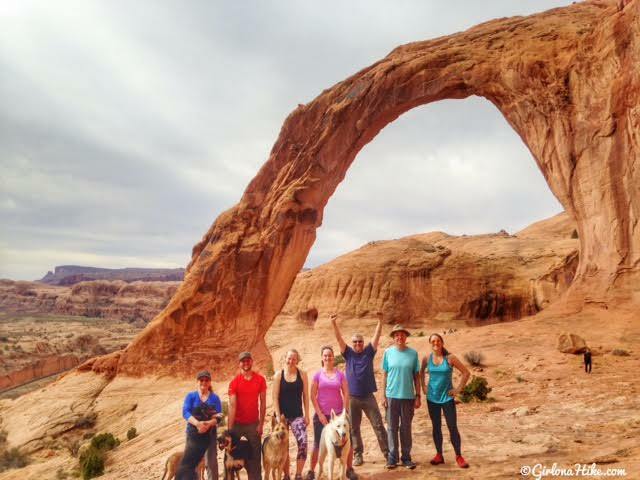 Corona Arch is one of Moab's most popular trails and one of the most impressive arches in Southern Utah. 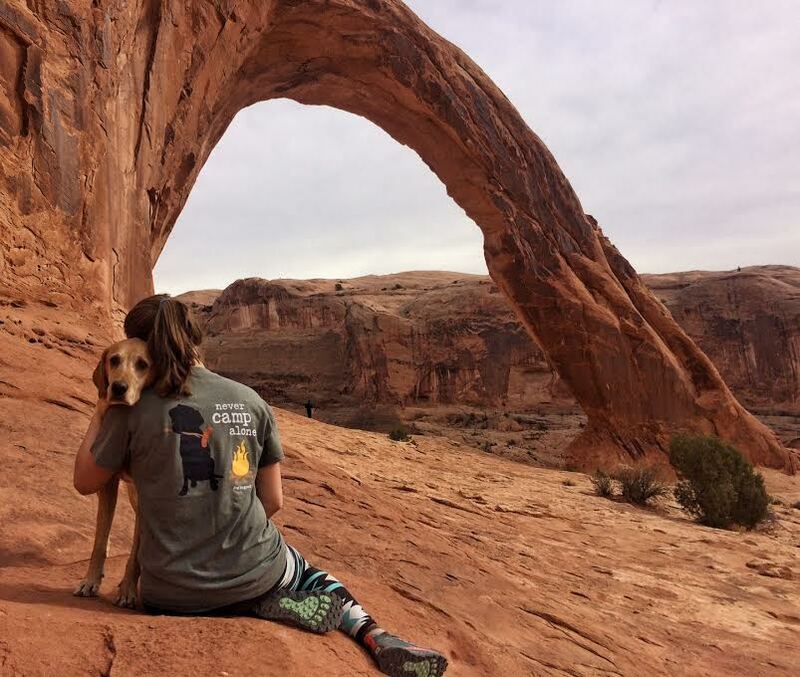 From Moab, Corona Arch is closer than that of any arch in Arches National Park, and dogs are allowed (whereas in Arches NP dogs aren't allowed to hike any trails). 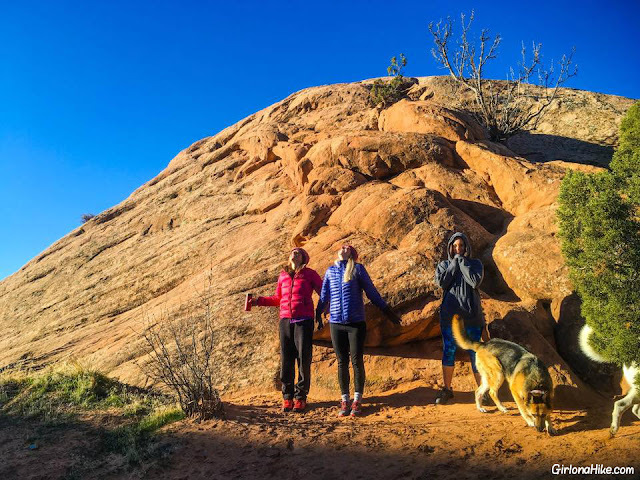 Though this trail is extremely popular, it doesn't see the traffic like Delicate Arch does. 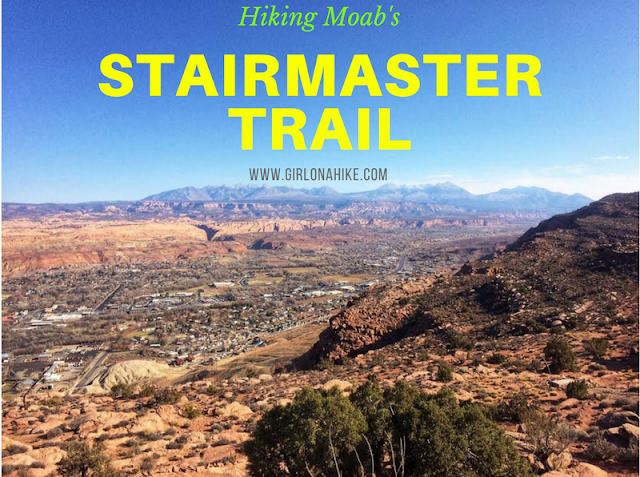 I believe this is simply because when people visit Moab, they only think of hiking in Arches NP, not hiking outside of the park. Yet, that's where the best hikes are! 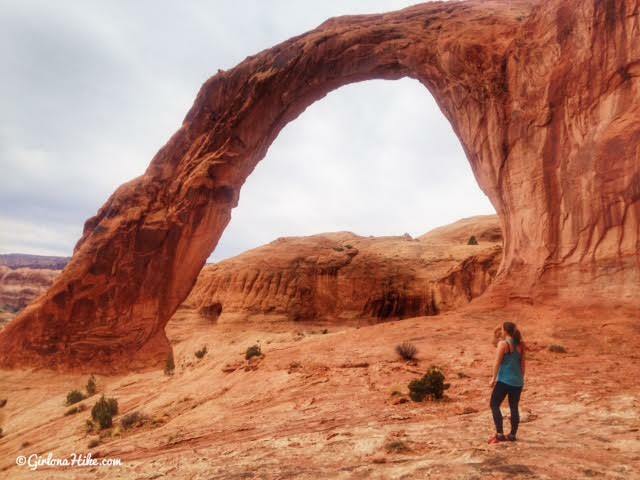 Hiking to Corona Arch takes less than an hour for most hikers and offers beautiful views of Bootlegger Canyon. From Moab, head West on HWY 279 (Potast Road). It soon parallels the Colorado River and cuts through, what's known as, The Portal. The drive passes by several campsites and climbing routes on the right. 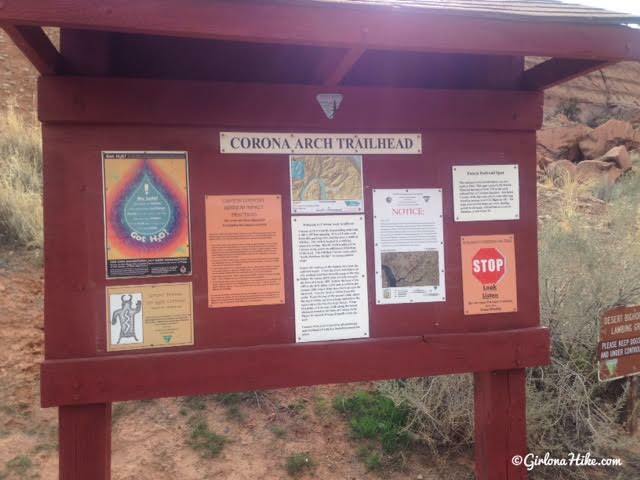 From the turn off onto HWY 279 drive about 10 miles and look for the large brown sign for Corona Arch TH on your right. There are plenty of campsites on the left at Gold Bar, and toilets are available. Here is a driving map. Dog friendly? Yes! Again, the sign says to keep dogs leashed but nobody does. All three nights during our time in Moab we camped at Sand Flats Rec Area, which is about 5 minutes from town. It's a super convenient location to camp (and my favorite camping area! ), plus dogs are allowed off leash (but must be under verbal restraint). All mornings were pretty chilly, and once the sun rose over the ridge we tried to soak up the sun to warm up. We arrived at the TH by 9:30am on a Saturday, and the lot was almost totally full. I recommend arriving either really early or hiking in late afternoon to avoid the crowds. 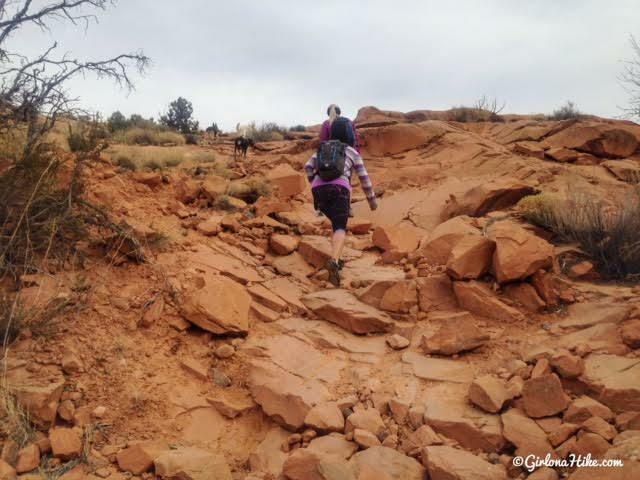 If you hike mid-week you are also likely to see way less people. There is a sign that says dogs must be leashed but nobody does. Everyone was really happy to see our pack of dogs. Starting out - you can see the waves of hikers ahead of us. Yikes! 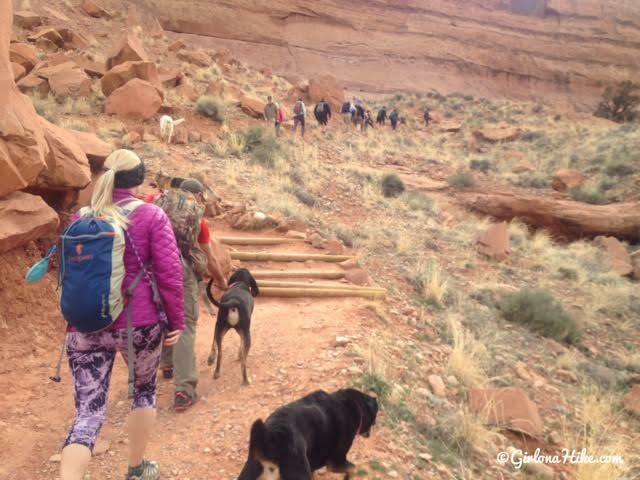 One of my biggest hiking pet peeves is too many people on one trail at once. Wished we started earlier. 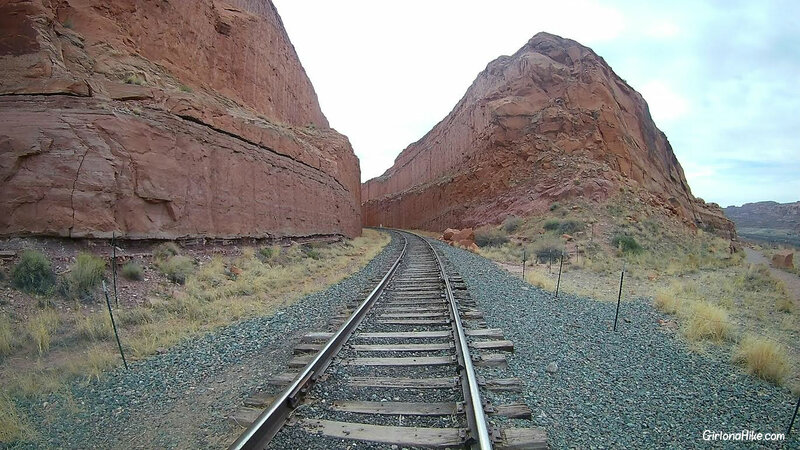 You'll cross the train tracks that cut through Bootlegger Canyon. The train that travels this section of the canyon actually serves a purpose - it carries potash (an alkaline potassium compound, especially potassium carbonate or hydroxide) from the mine down river. The trail heads North then wraps around a corner, heading East for a few minutes. Hike up a rocky section. 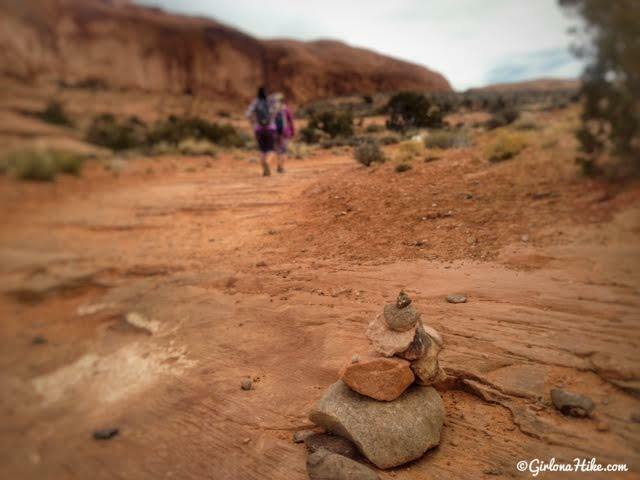 Cairns are placed along the trail to help guide you. As long as you follow these you can't get lost. 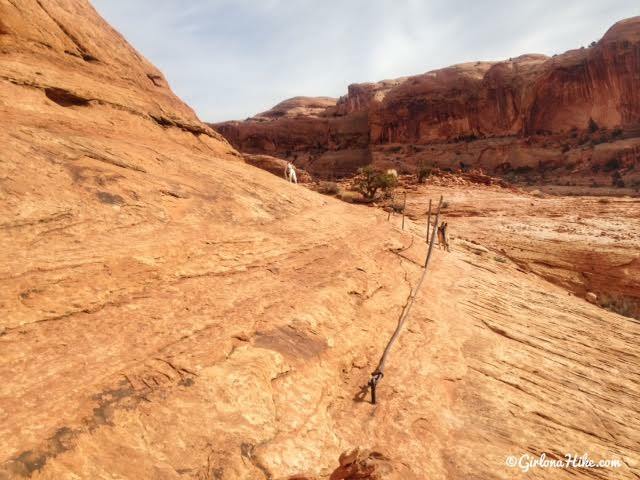 You'll come to this wire rope, which is designed to help you walk on the slope around the corner. 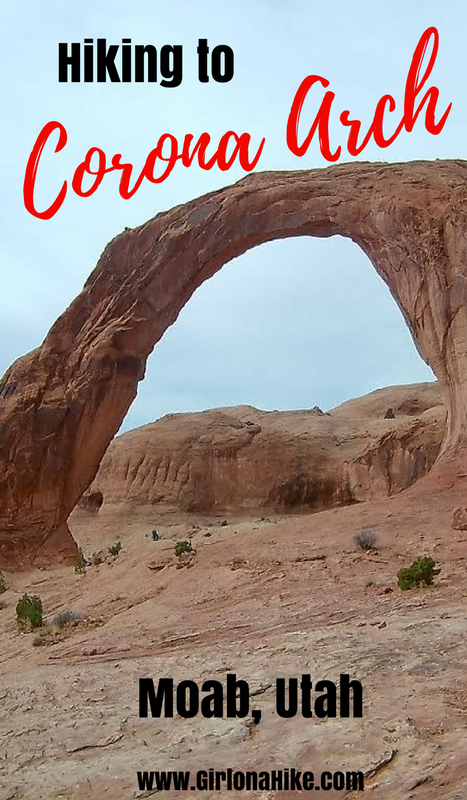 As you turn the corner after the wire rope, you should have the first view of Corona Arch! The 2nd wire rope is a bit steeper, but etched holes have been created over time to help you step up. 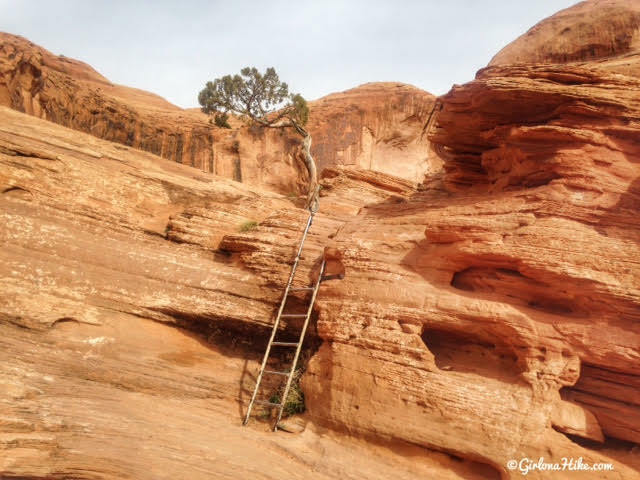 Climb up and over the first & only ladder. 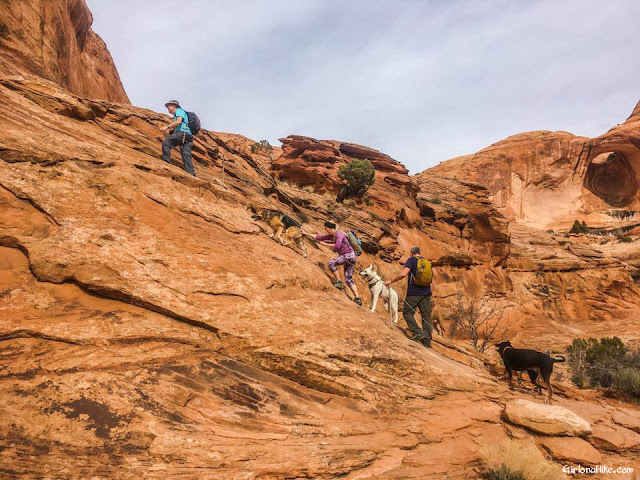 Dogs can easily hike up and around it from other angles with no problem. 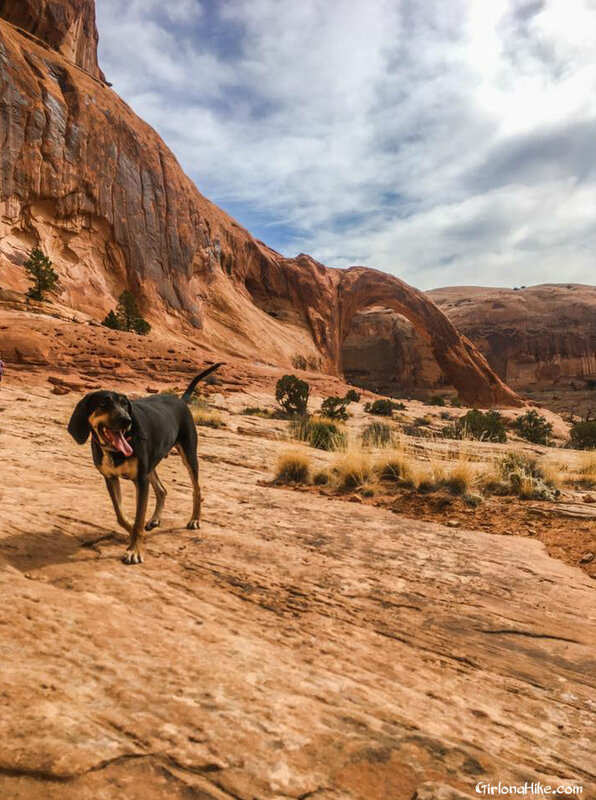 Copper (a Blue Tick Coonhound) leads the way! On your left (not pictured) you should see Bowtie Arch in the roof of a deep alcove. 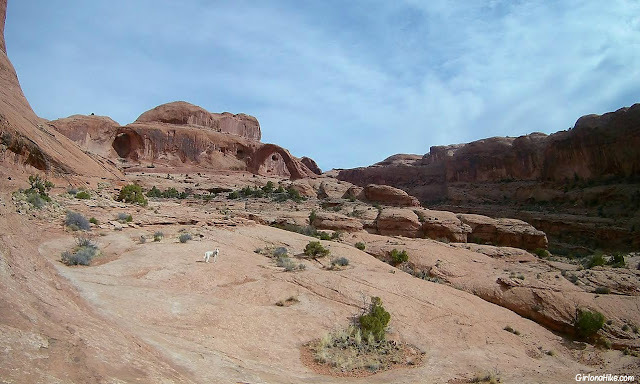 My favorite view of Corona Arch is viewed East to West. Depending on what time of day you hike, the sun should shine on either side making it look like it's slightly glowing. Corona Arch is the arch people used to be able to swing through - swinging, ziplining, rappelling, high-lining, and slack-lining were banned here January of 2015 due to a high number of deaths. To see an awesome video of people swinging here when it was legal, check out this video. 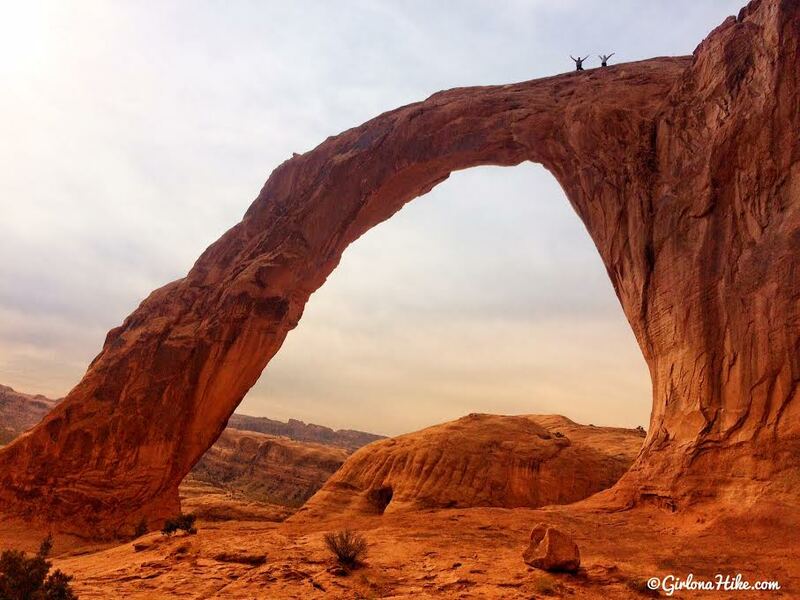 Corona Arch is quite mammoth - it is 140 ft high, with a span of 335 ft! It should take fast hikers only 30-40 minutes to hike here. It's also a great trail for kids - we saw kids from baby-age to 10, and teenagers. Older adults should also find this trail enjoyable. Friends on top of the world! We love our DogIsGood gear! This is such an amazing arch. We love sharing it with our friends that can't hike very far. Our first visit was a week after the last death from swinging on the arch a few years ago. 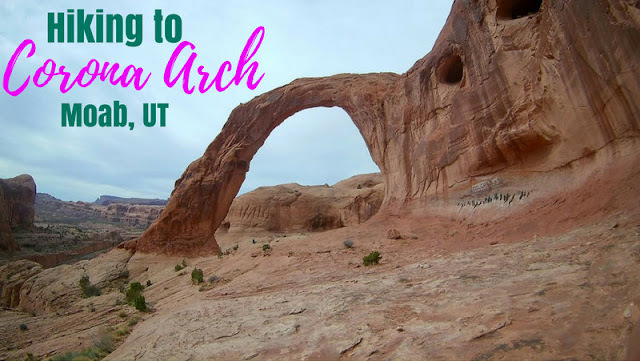 Make sure you watch for the Pinto Arch on the far left as you start the climb up. Is Charlie all right? You haven't mentioned him!! Poor Charlie!! So glad to hear he is all healed up. I was so concerned when he wasn't along with all the other dogs. He is one tough puppy! I'm sorry we aren't heading to Page this year. 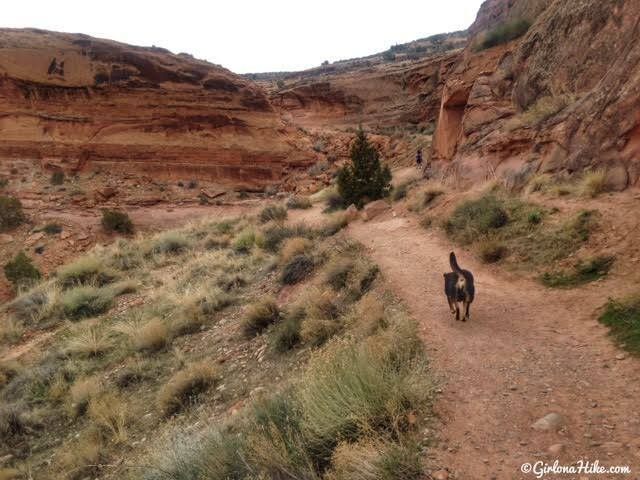 We would have been there the same time as you and we could have taken you to White Pocket. Darn! This year we are doing a ruin hunt until we get to UT...Waputki NM, Homolovi SP, Chaco, Bandelier, and Canyon of the Ancients. It should be great fun. I've read several books about the various sites. You have a few crazies in your group this year! During our last visit in April there were a couple fellows on top which made for awesome photos.